Meyer Logistics is a service company. We focus on what matters most in any business - the customer. Everything that each of our associates does on a daily basis and every aspect of our business has but one goal: To improve our ability to offer the fastest, most flexible and most reliable service in the industry. Our hardworking staff and extended coverage area will provide you with what you need to be profitable on a dependable, repeatable basis. Meyer Logistics is a specialized transportation company providing warehousing and logistical services Nationwide. 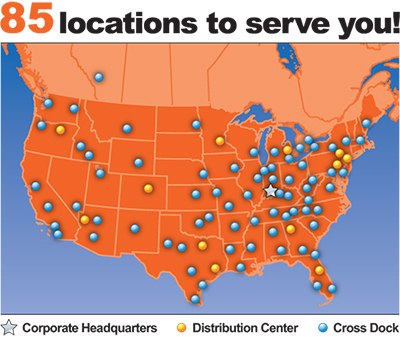 Meyer Logistics also serves as the backbone of Meyer Distributing's vast distribution network. Whether you are a domestic manufacturer or import/export company, Meyer Logistics has a full service package available for you. © Meyer Logistics. All Rights Reserved.